Scientific societies brought technological advancements to the attention of the public. 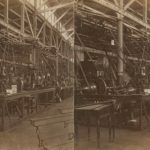 The Franklin Institute curated an annual Exhibition of American Manufactures from 1824 until 1858, and then again for a five-week event in 1874; this souvenir stereograph is from the 1874 event. It was held in the institute's original building on Seventh Street (now home to the Philadelphia History Museum at the Atwater Kent). Companies whose wares were displayed in exhibitions such as this one not only gained publicity, but legitimacy, as they could advertise the superiority of their products based on their being included in the exhibition. 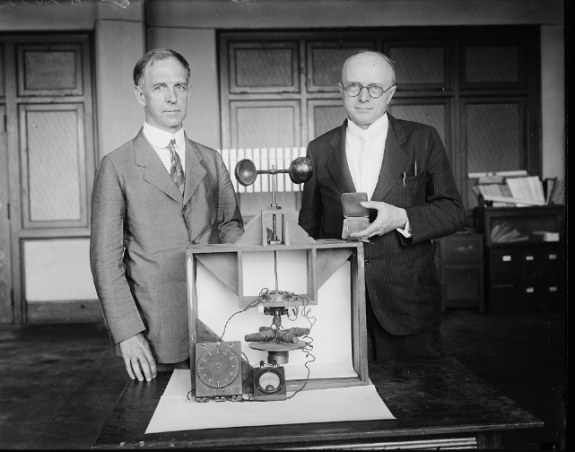 Scientific societies brought technological advancements to the attention of the public. The Franklin Institute curated an annual Exhibition of American Manufactures from 1824 until 1858, and then again for a five-week event in 1874; this souvenir stereograph is from the 1874 event. It was held in the institute's original building on Seventh Street (now home to the Philadelphia History Museum at the Atwater Kent). Companies whose wares were displayed in exhibitions such as this one not only gained publicity, but legitimacy, as they could advertise the superiority of their products based on their being included in the exhibition. 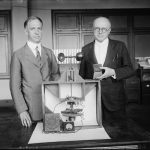 In 1922, the award was given to Paul R. Heyl and Lyman J, Briggs for the Earth induction compass. The same device was used by Charles Lindberg during his transatlantic flight on The Spirit of St. Louis. 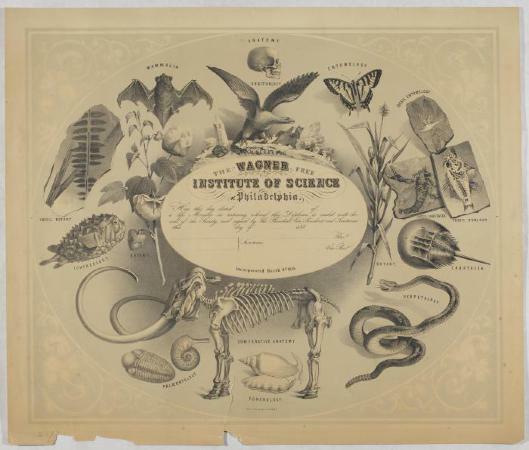 The Wagner Free Institute of Science was founded as a series of public lectures by William Wagner, a natural history collector and philanthropist, held in his own home. The lectures grew so popular that by 1855 they were moved to a public hall. By 1865, they moved into a new building designed by John McArthur, who went on to design Philadelphia City Hall. 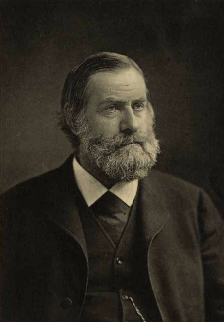 Wagner continued to lecture until his death in 1885. 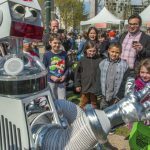 Today, the Wagner continues its founder's legacy and delivers free scientific lectures to the public in its headquarters just west of Temple University's campus. 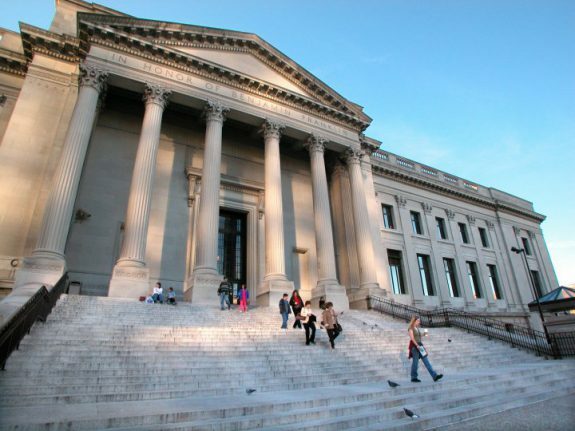 The Wagner Institute museum holds over 100,000 natural history items, including paleontological specimens collected by Philadelphia native Edward Drinker Cope. It is considered one of the finest examples of a Victorian-era science museum in the United States today. Philadelphia-born Joseph Leidy was a leader in several of the city's scientific societies. His interest in natural science developed early and he often spent his childhood days studying wildlife and botany at Bartram's Gardens on the Schuylkill River. Though he graduated from the University of Pennsylvania's medical school and many of his contributions to science were in the medical field, his popular fame lies more in his contributions to the fields of microscopy and paleontology. Leidy described the holotype for several extinct North American species, including a Hadrosaurus folkii discovered in Haddonfield, New Jersey, that was, at that time, the most complete dinosaur fossil ever recorded. He was also the first to use microscopic forensic evidence to solve a murder, the 1846 ax murder of a Philadelphia farmer. Leidy was elected president of the Wagner Free Institute of Science upon the death of its founder, William Wagner. He also served as curator of the Academy of Natural Sciences at the end of his life. 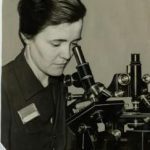 Though often expected to study science within the realm of femininity, women did participate in and make significant contributions to Philadelphia's scientific societies. Dr. Ruth Patrick, one of the pioneers of environmental science, is most known for her work with the Academy of Natural Sciences of Philadelphia. 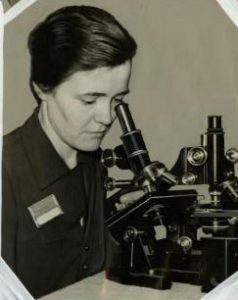 Patrick received her doctorate degree from the University of Virginia in 1934, a year after she began volunteering in the microscopy department at the ANSP; she wasn’t paid for this work until 1945. In 1947, she founded the academy's Limnology Department (later renamed the Patrick Center for Environmental Research in her honor), which focuses on the ecology of freshwater systems, and studied the Conestoga River basin near Lancaster. This research expanded to a survey of several river systems in the United States during the late 1940s. Patrick continued to lead the Limnology Department until 1973. She was the recipient of both the academy's Benjamin Franklin Award and the National Medal of Science. In addition to her work with the Academy of Natural Sciences, Patrick was an environmental adviser to Presidents Lyndon Johnson and Ronald Reagan. Her revolutionary theory linking biodiversity of freshwater systems to environmental stresses–dubbed the Patrick Principle–is considered one of the main tenets of environmental science today. Since the eighteenth century, Philadelphia-area scientific societies have promoted scholarship and innovation, increased access to scientific knowledge and played an important role in the professionalization of various disciplines. Longstanding institutions, including the American Philosophical Society (1743), the Academy of Natural Sciences (1812), and the Franklin Institute (1824), have garnered national and international accolades, while many smaller or shorter-lived societies vitalized scientific study in specific localities or became outlets for women’s participation. Eighteenth-century scientific societies in Philadelphia were eager to establish America’s role in a global scientific network. The colonies lacked a pan-colonial entity on par with the Royal Society of London to evaluate and promote scientific innovation. The American Philosophical Society, Philadelphia’s first and longest-lived scientific society, emerged as an early contender for this role, balancing pursuit of transatlantic prominence with service to Philadelphia and, especially by the late eighteenth century, to Americans at large. First organized and active between 1743 and 1746, then revived in 1767, it merged with “The American Society for Promoting and Propagating Useful Knowledge, in Philadelphia” in 1769. The society attracted widespread attention in Europe for its work documenting the 1769 transit of Venus, notably through the work of astronomer David Rittenhouse (1732–96). In 1771, the American Philosophical Society, in emulation of the Royal Society of London, published the first volume of its Transactions, which reported on the society’s activities and recent discoveries and innovations. By the early republic, the American Philosophical Society acted as a quasi-umbrella organization in America, corresponding with a variety of individuals and scientific societies that had emerged in the United States and also in Europe. Ultimately this role fell to the American Association for the Advancement of Science, founded in Philadelphia in 1848. In the early republic and into the nineteenth century, Philadelphia-area scientific societies took steps toward acting as professional bodies by establishing prizes and holding exhibitions, sponsoring scientific ventures or smaller institutions, and publishing journals and scientific literature. Prize contests could be narrowly defined, seeking solutions stemming from local problems, or more substantial, such as the Philosophical Society’s Magellanic Premium (established 1784) for work in navigation, astronomy, or natural philosophy, or the Franklin Institute’s Benjamin Franklin Medals (established 1824) for engineering. In these early years, scientific societies sought to reward practical use of science. 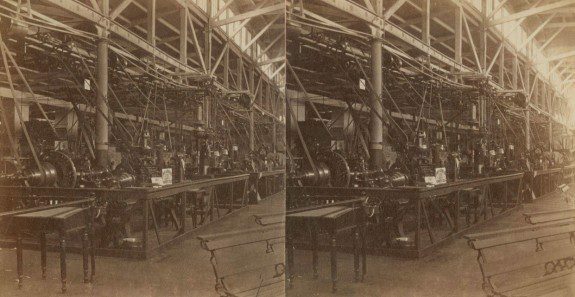 Exhibitions, such as the Franklin Institute’s Exhibition of American Manufactures, reinforced this norm, as did its journal content. Natural history societies, while also interested in practical applications of knowledge, used their journals to engage in debates over competing systems of taxonomy and model rigorous standards of practice. The Academy of Natural Sciences (founded 1812), through its journal, and the publications of its members, produced reams of taxonomic descriptions admired by many scientists pursuing botany, and various branches of zoology, including ornithology, ichthyology, entomology, and herpetology. 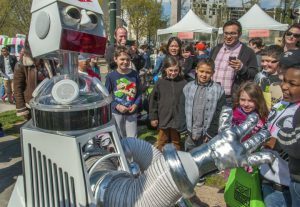 A number of Philadelphia-area scientific societies encouraged women to participate, although they often stipulated that women’s participation should be congruent with prevailing gender norms. Similar to the way societies encouraged men to use science to enhance artisan trades and businesses, they imagined women’s scientific knowledge as an extension of their labor and sensibilities. The 1820s and 1830s saw a proliferation of local societies and cabinets in surrounding counties, including Chester, Bucks, and Montgomery, some of which were open to women’s contributions. Thought to be more attuned to beauty in nature, women often collected and donated specimens despite not having full access to other society activities. In 1829, the newly founded Chester County Cabinet of Natural Science received plant and mineral specimens from local women. The Cabinet of Natural Science of Montgomery County’s first annual report from 1832 claimed that Hannah Corson (1812–1900) had single-handedly collected the five hundred native and naturalized plants that made up its herbarium. Although some societies, including the American Philosophical Society and Philadelphia Chemical Society (c. 1790s), extended membership to foreign-born women on an extremely limited basis in the eighteenth century, generally, local societies became more open to admitting women as members in the 1830s and 1840s. The Academy of Natural Sciences unanimously elected Lucy Say as its first female member in 1841; Delaware County Institute of Science in Media admitted women members not long after. In 1844, William Darlington (1782–1863) spoke before the Ladies Botanical Society (founded 1843) in Wilmington, Delaware, arguing that women’s participation would greatly enhance the study of botany. Women’s membership in local scientific societies, though often fraught with sexism, expanded throughout the nineteenth century. Philadelphia birthed a number of national organizations that went on to further professionalize the sciences, of which the most important was the American Association for the Advancement for Science (AAAS) In 1848. AAAS organized at the Academy of Natural Sciences, electing William Charles Redfield (1789–1857) its first president. The AAAS was an outgrowth of an earlier society, the Association of American Geologists, which held its first meeting in Philadelphia on April 2, 1840. By 1842, it had expanded to include naturalists. By the end of the nineteenth century the society, which had moved to New York and then Washington, D.C., had become the most prominent advocate for the promotion of scientific knowledge and cooperation, regardless of discipline. The emergence of a national umbrella organization for the sciences encouraged the proliferation of smaller, discipline-circumscribed societies. The year 1859 saw the founding of Philadelphia Entomological Society, the precursor to American Entomological Society, and the Zoological Society of Philadelphia, which established the Philadelphia Zoological Gardens, the first zoo in the United States, in 1874. These societies adopted the strategies of larger, earlier societies—establishing prizes, founding journals, communicating abroad—but became increasingly interested in engaging local citizens through educational outreach. Societies such as the Leidy Microscopical Society (founded 1858), the Engineer’s Club of Philadelphia (1877), and Rittenhouse Astronomical Society (1888), which served the entire mid-Atlantic region, often provided equipment tutorials and became increasingly open to nonprofessionals throughout the twentieth century. Concurrently, educational institutes, such as the Wagner Free Institute of Science, founded in 1855, adopted professional standards. 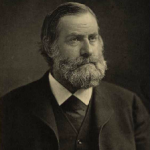 In the 1880s, under the stewardship of Joseph Leidy (1823–91), the institute published a professional journal and began to sponsor scientific expeditions and original research. In the twentieth and twenty-first centuries, Philadelphia’s old guard of scientific societies, the American Philosophical Society, Academy of Natural Sciences, and Franklin Institute, acted as public museums and scholarly libraries in addition to maintaining a number of their traditional roles. 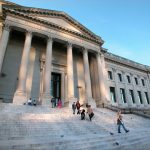 The Franklin Institute began its shift toward functioning primarily as a museum during the Depression; the Academy of Natural Sciences, which had maintained a museum for much of the nineteenth century, was acquired by Drexel University in 2011, becoming involved with its teaching mission. The American Philosophical Society maintained an impressive scholarly library for the study of early American history, Native American cultures and languages, and the history of science, offering in addition to many of its longstanding prizes and premiums, research fellowships for scholars. Smaller societies such as the Rittenhouse Astronomical Society and American Entomological Society persisted and often worked with larger institutions to sponsor educational events; the Rittenhouse Society worked closely with the Franklin Institute during its annual Science Festival, and the Entomological Society worked with the Academy of Natural Sciences to host Bug Fest. As degree-granting institutions and national organizations became the primary arbiters of scientific knowledge by the late nineteenth century, a number of Philadelphia’s smaller societies faded away, or became more club-like over time, abandoning many of their professionalizing aims to prioritize maintaining public interest in their discipline. In the twenty-first century, the region’s scientific societies, which were premier professional bodies in the eighteenth and nineteenth centuries, remained dedicated to the dissemination of scientific knowledge. Brigham, David R. Public Culture in the Early Republic: Peale’s Museum and Its Audience. Washington, D.C.: Smithsonian Institution, 1995. Centenary of the Franklin Institute of Pennsylvania, 1824–1924. Philadelphia: Franklin Institute, 1924. Myers, Amy R. W. ed. Knowing Nature: Art and Science in Philadelphia, 1740–1840. New Haven, Conn.: Yale University Press, 2011. Peck, Robert McCracken, and Patricia Tyson Stroud. 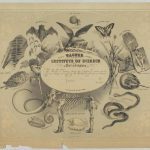 A Glorious Enterprise: The Academy of Natural Sciences of Philadelphia and the Making of American Science. Philadelphia: University of Pennsylvania Press, 2012. Academy Membership; ANSP Membership; and ANSP Official Correspondence, Academy of Natural Sciences, 1900 Benjamin Franklin Parkway, Philadelphia. American Philosophical Society Archives (1743–1984), American Philosophical Society, 104 S. Fifth Street, Philadelphia. Delaware County Institute of Science Manuscript Collection, 1686–2014, Delaware County Institute of Science, 11 Veterans Square, Media, Pa.
Franklin Institute Archives, Franklin Institute, 222 N. Twentieth Street, Philadelphia. Academy of Natural Sciences, 1900 Benjamin Franklin Parkway, Philadelphia. American Philosophical Society, 104 S. Fifth Street, Philadelphia. Delaware County Institute of Science, 11 Veterans Square, Media, Pa. The Wagner Free Institute of Science, 1700 W. Montgomery Avenue, Philadelphia. The Franklin Institute, 222 N. Twentieth Street, Philadelphia.